TORONTO, May 17, 2018 /CNW/ – Penguin Random House Canada is proud to announce a special pre-order campaign for Vivek Shraya’s upcoming book, I’m Afraid of Men, to mark the International Day Against Homophobia, Transphobia and Biphobia on May 17, 2018. 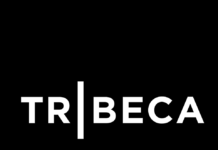 This campaign is in support of the Tegan and Sara Foundation, which fights for health, economic justice and representation for LGBTQ girls and women. The campaign will run from 12:01 a.m. EST May 17 through 11:59 p.m. EST May 18, 2018. 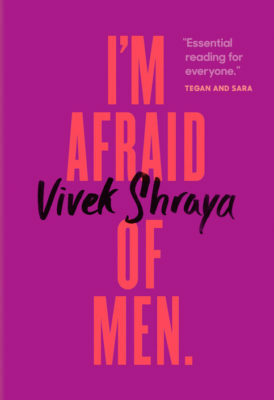 During this time, Penguin Random House Canada will donate two dollars for every pre-order of Vivek Shraya’s I’m Afraid of Men to the Tegan and Sara Foundation and Vivek Shraya will personally donate one dollar for every pre-order. I’m Afraid of Men (on-sale August 28, 2018) is Vivek Shraya’s raw, honest and important record of the cumulative damage caused by misogyny, homophobia and transphobia. It’s a journey from camouflage to a riot of colour and a blueprint for how we might cherish all that makes us different and conquer all that makes us afraid. Penguin Random House Canada is honored to publish I’m Afraid of Men and its important and timely message. “I had the great privilege of reading this book first, and I couldn’t stay quiet about it. I shared it with my colleagues, who shared it with other colleagues, and before we knew it there was an army of us. 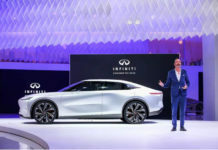 Our numbers will only grow from here,” said the book’s editor, David Ross. On May 17 at 3:30 p.m. EST, Tegan, Sara and Vivek Shraya will be hosting an Instagram Live to discuss the need for more conversations about queer representation and Vivek Shraya’s I’m Afraid of Men. The three will be live from Tegan and Sara’s Instagram, @teganandsara. Supporters can pre-order copies from the Penguin Random House Canada website.